Nope, still not possible. But looks like things are getting more interesting at least. 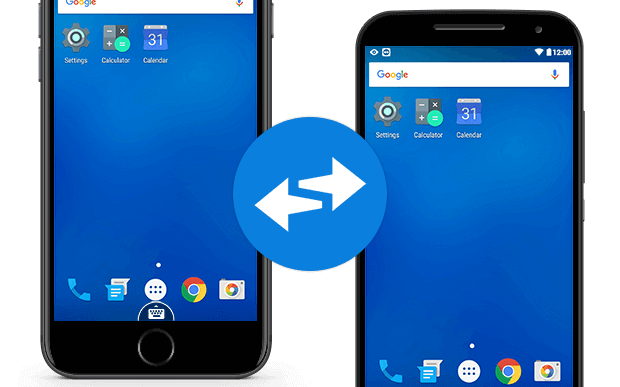 Teamviewer recently announced that their latest build, Teamviewer 12, has the ability to remotely control mobile devices from another mobile device. Being able to remotely control a user’s mobile device would obviously help IT better assist users, but I just double checked and their video clearly states that only Android and Windows Mobile support remote control. They did do one thing cool with iOS though! If you go to their documentation, you’ll see that Teamviewer has now made it possible for custom-built apps to share screen on the Teamviewer platform. This means that if an enterprise was so willing, the Teamviewer screen-sharing functionality could be built into any in-house app. Remote control functionality is still not supported (probably blocked by Apple), but at least employees can now show their screen to support instead of just describing it. You can connect to mobile devices from any Windows, Mac, or Linux computer. I checked with Teamviewer support, and this does include remote control. You can remotely control Android/Windows mobile phones even if it is unattended. I don’t know if this includes whether the device is locked though. Users can actually generate tickets and request for a screen sharing session, if you build the Teamviewer screen sharing SDK into your app. More info is at the TeamViewer use case site.